Can we have this for more badges please? 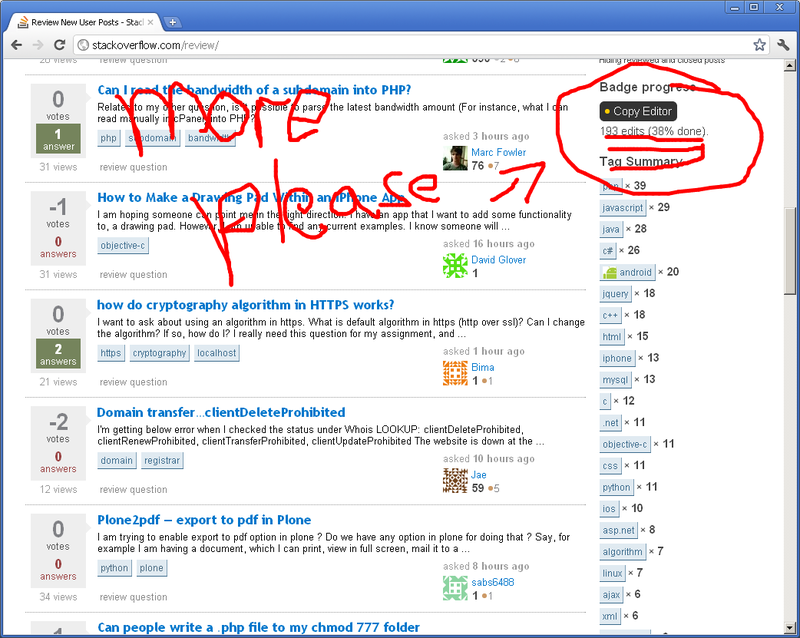 In particular the badges where it's not clear to the user how they're doing. Some of the badges are supposed to be surprises, not World of Warcraft style level grinds based on numbers. it becomes noise, like a bunch of inscrutable F-16 cockpit gauges -- how are all these numbers useful except for these specific badges? the badges are no longer a pleasant surprise and reward but an expected "level up"
among many others. Many of the badges have algorithms that are difficult to calculate progress towards or that require data not available in the data dump (ex. Sportsmanship), but most of the others have queries. I agree that this information should be included on the badge pages. I did ask Jeff Atwood recently as to why they decided to move away from this stance that The Unhandled Exception quoted and make flag-weight public, thereby leading to users trying to game the badge & getting upset over declined flags. I believe the discussion was in the comments to this answer of mine (Jeff Atwood was responding to my "flag-weight is a joke" jab), although the comments have been wiped since. Jeff Atwood had some good points on how letting the users know their progress made them actively work towards it, thereby improving the quality of the site, and I agree with that. But the crux of his entire argument was that some "Raymond motherflippin' Chen" dude has started flagging posts, hence progress must be shown. The Raymond Chen reason can also be seen in this answer. RAYMOND CHEN USES FLAGS, YOUR ARGUMENT IS INVALID. So unless Raymond Chen actively upvotes other competing answers/edits posts > 6 months old/has 0 vote accepted answers/etc, you are not going to see a progress indicator for those badges. Not the answer you're looking for? 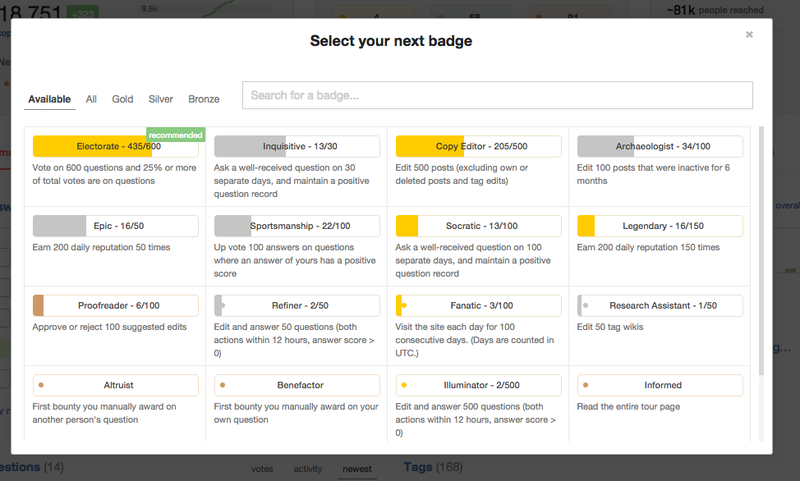 Browse other questions tagged feature-request status-completed badges badge-progress . Can there be a gauage of how close you are to a badge as is done for privileges? Has our official stance on badge progress reports changed? Huge increase in average reputation gains once over a certain amount?